Bondi Beach, Sydney. Arguably one of the coolest places on the planet, but also a place with contradictions that should not work – One of the world’s best beaches, full of beautiful people all hanging out in the sun, doing yoga, paddle boarding or surfing….mixed in with some of the scariest deadliest wildlife on the planet. Expensive real estate but still a haven for backpackers! However, somehow everyone and everything manages to get along swimmingly most of the time (pardon the pun). 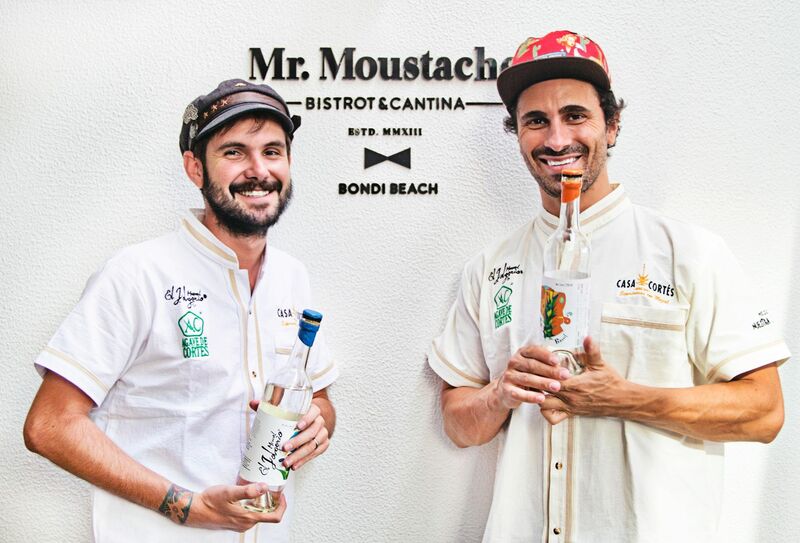 Which brings us to Mr Moustache, a cocktail bar and restaurant which has somehow managed to seamlessly marry lively Mexican food and culture with the refinement of French elitism from the 1920s. Like the contradiction of yoga bunnies and sharks hanging out on the beach it sounds like it shouldn’t work, but trust us, this one really does. The decor is slick with an element of understated cool, not a Piñata or sombrero in site. The food is beautifully presented, showcasing the best of Mexico’s rich culinary history without being a pastiche of its own heritage. So onto the drinks. The menu is a collaboration between Phil Ward from Mayahuel, New York, and Mike Tomašić so you should expect great things and you won’t be disappointed. 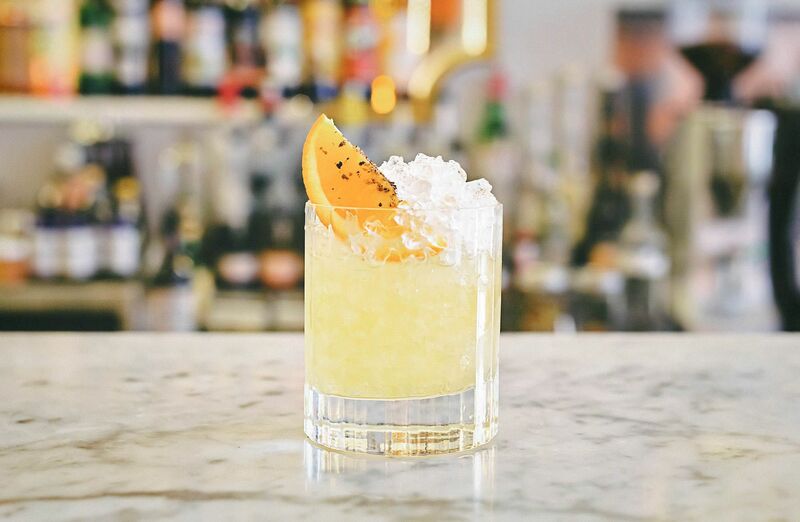 The drinks are Mescal led, all ingredients being locally sourced wherever possible.The juices hand squeezed daily using a Mexican elbow and the garnishes are simple yet elegant. Many of the cocktails also use key spices from the kitchen meaning there is a real synergy between the food and drinks. According to ‘The Urban Dictionary’ Pamplemousse is slang for little fatso in France. Not too sure how true this is but why let the truth get in the way of a good story….. or a great name for a cocktail for that matter! 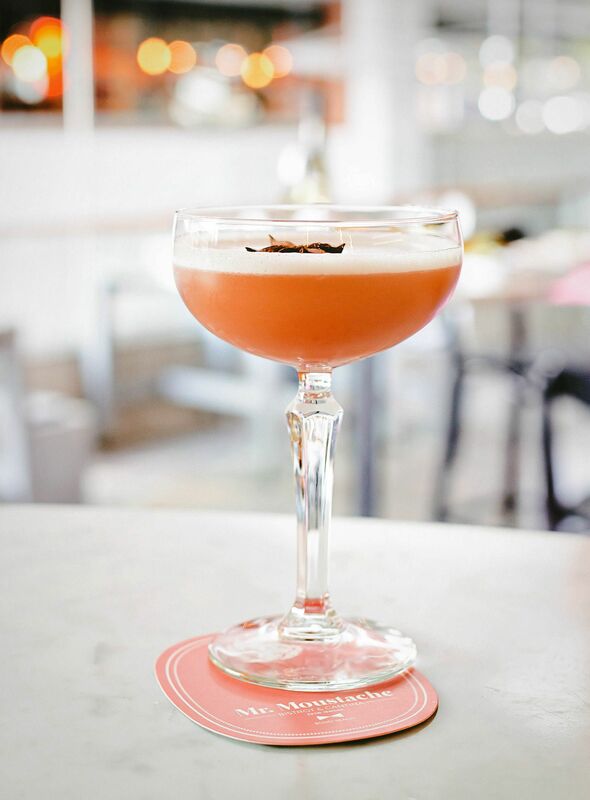 A riff on the 20th Century ~ a classic cocktail from the early 1900’s consisting of Gin, White Crème de Cacao, Lillet Blanc and lemon ~ the 21st Century plays on the seamless affinity between Mezcal and chocolate in a non-cloying, refreshing kinda way. Alex Dyzart is from Kent but he aquired his cocktail mixing skills in Auckland’s speakeasies during a two year stay in New Zealand. On returning to the UK Alex fell on his feet and joined the team at the famous Venn Street Records, where he is now assistant manager. Alex’s first tattoo features Sailor Jerry Swallows “that are linked heavily to Sailor Jerry rum. A very popular brand with bartenders”, he explains. 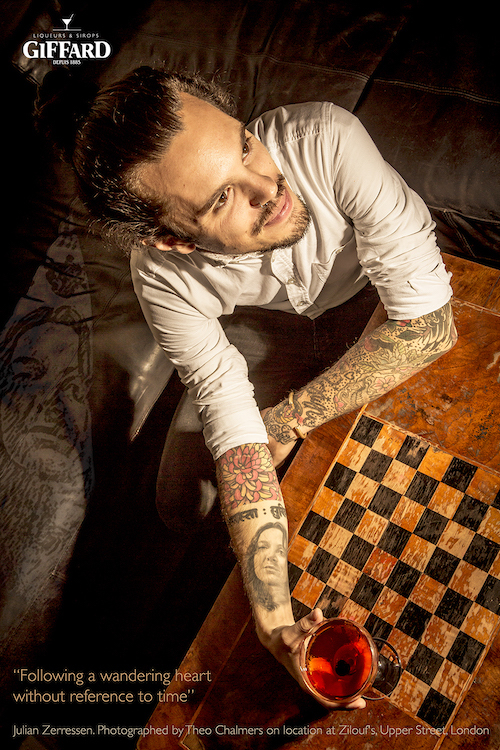 “My next tattoo was rather more ambitious and took three years in the planning alone. Inspired by the Joker and the Thief from Dylan’s All Along The Watchtower, the design covers my entire right sleeve and it was important to get every detail correct. I’m now working on designs for my left sleeve with a phoenix as its central character. But it’s not just the design that’s time consuming, finding the tattoo artist that I want to work with is a challenge in its own right”. In 2013 a close friend, with a passion for blue coloured drinks, passed away and that Blue Daiquiri was his favorite cocktail ever, “he drunk it all the time !” said Alex. Happiness Forgets is wonderful name for a bar and until a few months ago that is where you would have found Julian Zerressen. He is now storming a ‘pop-up’ cocktail bar called the Art of the Aperitif, at the Langham Hotel, before departing on a meandering journey across the globe via wherever his heart takes him, arriving whenever he arrives. Originally from Munich, Julian is keen to discover cocktail making in different countries and cultures. It is “an ongoing love affair that is far from over”, he says. Julian loved the hospitality industry from an early age. His father has always run bars and restaurants and after studying Hotel Management at college, it was a natural move for Julian to continue his training in a Michelin starred kitchen. He then changed tack and spent the next two years at the Golden Bar in Munich. Julian smiled and explained, “Training in a top kitchen was really challenging and tremendous fun but I really missed the interaction with customers. It means something to create something for someone, place it in their hand and then watch their face as they enjoy it. You never get that intense interaction working in the kitchen”. Julian’s tattoos are souvenirs of his travels. Little reminders from a variety of countries and cities but he makes a point never to visit the same tattoo artist twice. “My next tattoo will be in Thailand”, he says. “I’m not sure when but in the next few months”, he continued “But before I go let me make you my cocktail of the moment, the Trinidad Sour. It was created by Giuseppe Gonzales and it changed my view on bitters forever”. One day a week Adriano Di Giovanni spends a solid six hours just preparing for cocktails. Just three years ago Adriano left sunny Sicily with the express intention of becoming a world class cocktail specialist. For the last year or so he has been at Zilouf’s in Islington. 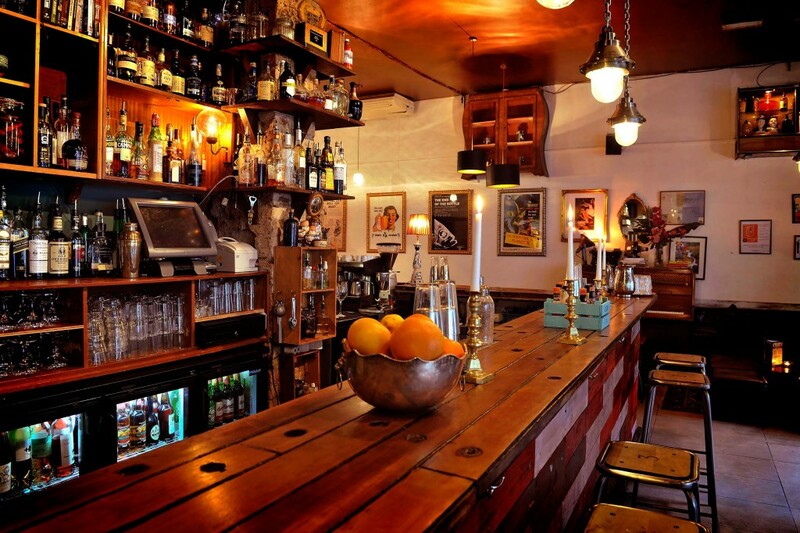 “What I love about this bar is that whatever we can grow or make ourselves we do and that applies as much to sauces in the kitchen as it does to juices behind the bar and the decor on the walls”, he says. “There is a really positive, ‘yeah let’s do it’ attitude here. We are encouraged to try new things, to experiment”. Adriano is Italian and in keeping with the national stereotype there is an energy and passion to the man as he explains what motivates him, “As a bartender, making a cocktail for someone is more than a job. It’s a personal statement by one individual for another. This is from me to you and I want it to be the best it can be. I want to see you enjoy my work”. Outside Zilhouf’s windows it has stopped raining and by midday the sun is beginning to shine on Upper Street. Looking back from the scene Adriano says that this “Is the perfect time for an Espresso Martini”. “They’re a very personal scrapbook”, Nathan Shearer says of his tattoos. “I got my first when I was 19. It was a small act of rebellion and a bold step into a new subculture. Since then they have become markers from travels around the world, with two from Smith Street in New York City but most from Soho in London. I have always admired the talent and craftsmanship of great tattoo artists”, he continued. Born and raised in South Wales, Nathan had a long-standing interest in cocktails before he moved to London to study Computer Science at King’s College. The discovery of London’s social scene led on to what Nathan calls the “seductive bartender subculture” and the point of no return. 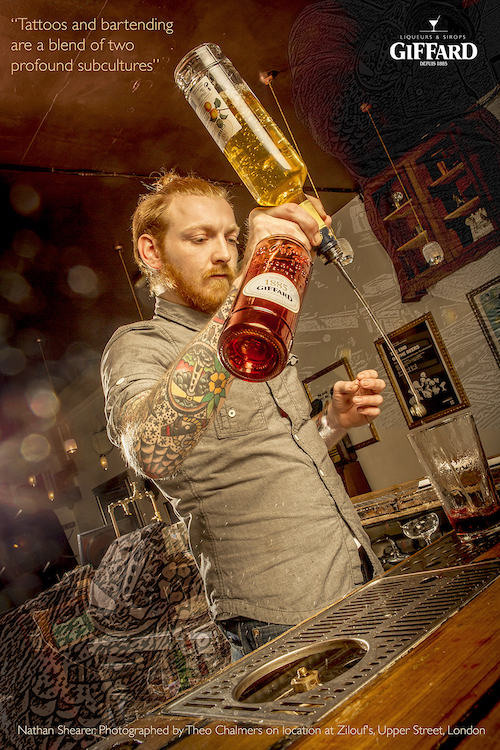 He trained at the London Cocktail Club and with a well respected reputation he is now creating his own art at uber cool Callooh Callay in Shoreditch. A great cocktail requires many things but “chief among them are trusted brands with consistent flavours and the use of fresh natural ingredients is a must. I won’t have anything artificial on the bar” says Nathan. “Right now, my favourite cocktail is a classic Mai Tai. Happy to make one for you anytime”, he concludes. 10ml Goslings 151, floated on top. “My surname is Portugese, I was born in Gothenburg, to Swedish parents and raised in the chilly north of Sweden. I also have a native North American ancestor and I celebrate that with a geometric arrow tattoo”, says Hanna Bixo. “I guess you could say that I’m Native American, Portugese, Swedish – now mixing it in London”. “My first tattoo was inspired by the Muse hit, ‘Sing for Absolution’. I am constantly reminded of the song and how I feel whenever I hear it. Then came the swallows representing coming of age and leaving the nest but the large snowflake is there to remind me of snow, skiing and home”, she enthuses. Hanna arrived in London at 18 years old, straight out of school. “I had visited the city many times before then and fell in love with it every time. When I finally got to live here I was enraptured by the cocktail scene and immediately enrolled at Bar School”, said Hanna. 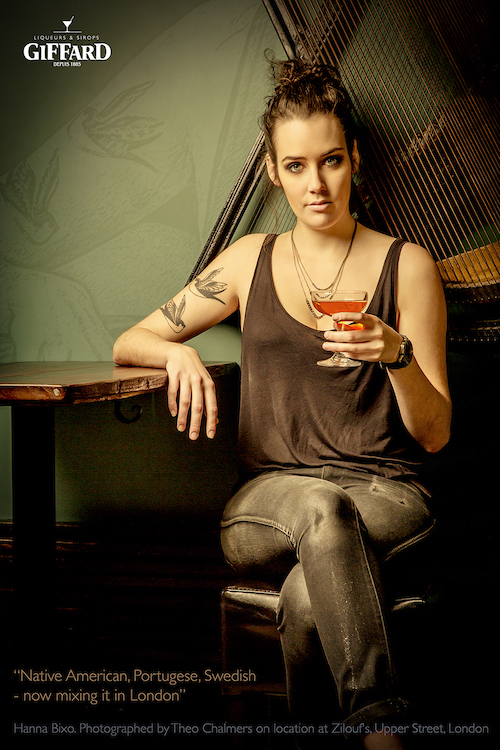 Now a top bartender at the very popular Hawksmoor Bar in Knightsbridge, Hanna’s love for the city is stronger than ever but her choice of cocktail gives away the international heritage. The first things we noticed about Zilouf’s were the smiles. We were at the bar early on a Monday morning in November, not exactly cocktail hour but that time of the day when you see a bar for what it really is and the sound of a chair scraping across the floor cuts the atmosphere and echoes off every wall and fixture. 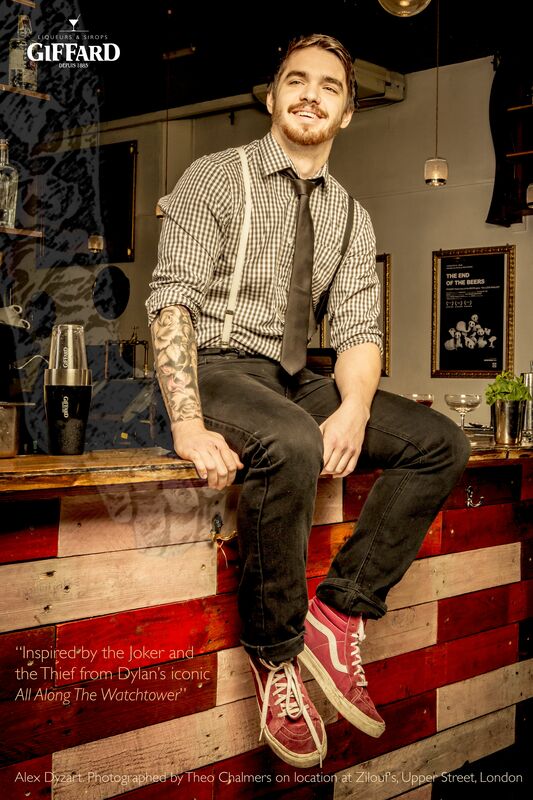 We were there for Giffard’s Spirit of Art 2014 photoshoot and during the day renowned bartenders from across London slipped in and out, giving up their time at what is for many of them a seldom seen part of the day. It was an opportunity for us to hear from them about what is happening on London’s cocktail scene, the vibrant subculture of late night cocktails, bartenders and body art. More on that next month but right now let’s talk about Zilouf’s and why this bar is worth coming back to again and again. The team spirit and ‘yeah, we can do that’ attitude from the Zilouf’s staff bowled us over. When service is this good you just know you are in for a good time and we had already decided to head back to Islington and enjoy the bar when the light was falling out of the windows and not streaming in but not before we got a few moments with owner, Andrew Zilouf. 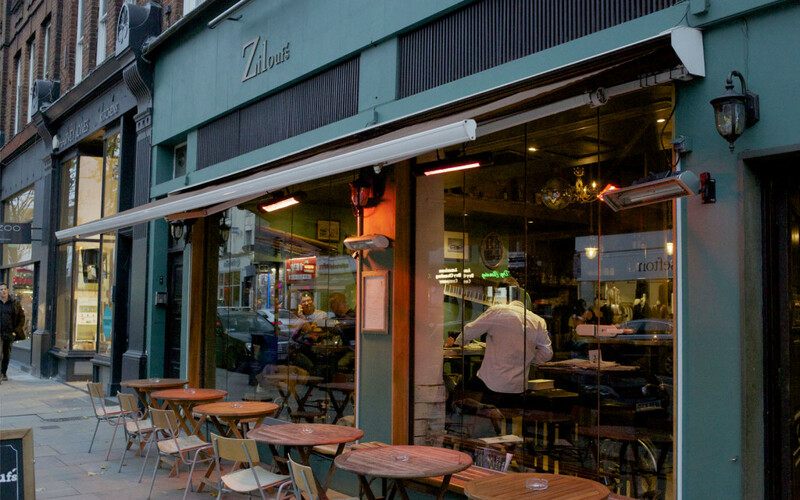 Before crossing over to the business side of the bar, Andrew was a financial journalist and he brought that attention to detail with him when he opened Zilouf’s and more recently 100 Hoxton, in Shoreditch. “My team and I wanted to create something a little different. The bar needed to be an expression of ourselves. Every detail, every fixture, every fitting was made or adapted by us”‘ he says. “The piano didn’t work as it was so we broke it up and hung it on the walls in pieces”, he points out. It is the same story with an old TV set and a myriad of other decorations. Overall they combine and complement the service to create the warm familiar feeling of a favourite pair of jeans. True to our word, we came back a few weeks later and tried a number of cocktails, all brilliant and we included the Espresso Martini, usually the preserve of Sunday Brunchers but very welcome at the end of the evening too. The classic cocktail menu was more than enticing and we can recommend the Apple & Pear Sidecar and Zilouf’s Hurricane without reserve. 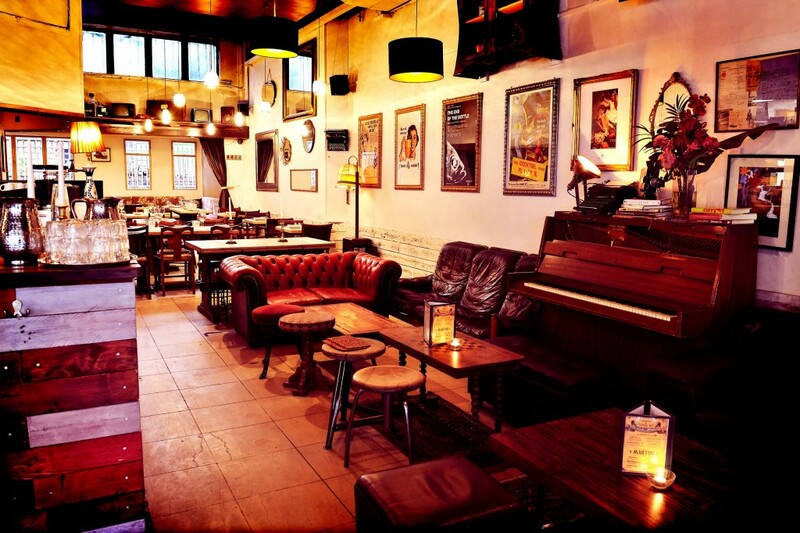 The strong food offering makes this bar a delight for day and evening and you should plan on spending more than an hour or two enjoying the fun and hospitality on offer.